What is Pay per Call advertising and how it works? Pay Per Call is a kind of affiliate marketing where customer calls are tracked (similar to how clicks are tracked in Pay per clicks). 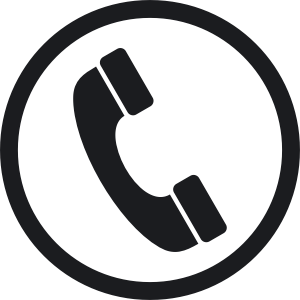 Pay per call campaign works by tracking unique intermediary phone number. Every publisher or (affiliate marketer) is given a unique phone number. Phone number gets routed to the advertiser’s phone number. This creates new avenues for advertiser and marketers. Marketers get paid every time potential customer makes call using the uniquely trackable phone number. Why should an advertiser be interested in Pay per call? Pay per call provides a new way to reach market. You can reach your prospects online and offline. Certain types of product and service are better sold via phones. Pay per call will be more effective form of advertising in such cases. Many companies still do not have web presence. Pay per call provides a way to create marketing campaign for such advertisers. Click fraud is not possible in Pay per call. Pay per call will possibly provide a better conversion as prospective customers are more engaged. Why should a Publisher be interested in Pay per call? For start, advertisers are interested in Pay per call. It provides a new way to drive commission and revenue. Commissions are generally higher in pay per call as calls are more targeted. Pay per call provides a new range of products to market in addition to pay per click. It provides new channels for promotions. You can also promote products via offline and mobile channels. Pay Per Call is a newer method of advertising and is similar to Pay Per Click Advertising. Affiliate gets paid in Pay Per Click when somebody clicks on ad. Affiliate gets paid in Pay Per Call when user calls advertiser. Advertise requires a website in Pay Per Click while Advertiser needs Phone number to reach in Pay Per Call. Pay Per Call ads can be promoted thru different channels such as online, offline, mobile phones. Pay Per Call ads are generally simple in appearance. Pay Per call is generally charged higher and provides better conversion. Pay Per Call requires more active involvement as a Customer rep must be available to respond to the sales call.